Before you delve into the details of the case you might benefit from reading the who’s who page. We have compiled a list of people involved in the case and have provided a brief description of their role. Click here to read. 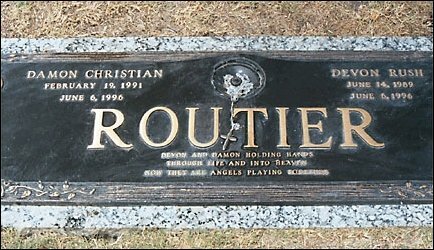 On June 6 of 1996, Darlie Lynn Routier was sleeping in the downstairs family room with her two children, Damon (age 5) and Devon (age 6). The children were sleeping on the floor. Darlie fell asleep while watching television, leaving both the TV and the sound on (something lead detective Jimmy Patterson would later confirm in his testimony at her bond hearing). While Darlie’s husband, Darin, slept upstairs in the master bedroom with the couple’s youngest son, Drake, Darlie and her two children were brutally attacked. The children were stabbed and Darlie’s arm and throat were cut. Darlie later told police she awoke to find an intruder in her home. He fled through the utility room out into the garage. Police who responded to the scene discovered that one of the large windows in the garage was open and the screen had been cut. Upon awaking and discovering that someone was in her home, Darlie followed the intruder to the utility room. She told the police he dropped a knife on the floor and that she picked it up. This was not an unreasonable action because Darlie was previously unarmed. However, the action of picking up the knife later caused police and prosecutors to doubt Darlie’s story of an intruder because after she was admonished by the police dispatcher not to touch anything, she acknowledged she had already touched the knife. Darlie quickly realized that picking up the knife possibly compromised fingerprint evidence that could have been obtained. Darlie’s phone call to police lasted for almost 6 minutes and began at around 2:30 a.m. During that time, Darin can be heard in the first 30 seconds of the call. The first officer to arrive on the scene, Officer Waddell, is also heard. A detailed breakdown of the timeline of events is found here. 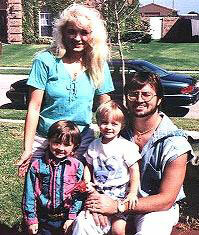 Waddell testified at Darlie’s trial that she did not show concern for her children and that she refused to help them. These claims are refuted by the 911 recording where Darlie is heard speaking to her youngest child, Damon, who was still alive by the time police and paramedics arrived. Additionally, Darlie is heard asking why the ambulance was taking so long. She is also told to sit down by the officer on the scene, contradicting his claim that he asked her multiple times to help the boys. Darin testified at the bond hearing and at the trial that early into the call Darlie went to the kitchen to retrieve towels for the boys. A bloody towel was later found near Devon and was discussed at trial when Darlie’s defense questioned Officer Mayne. Mayne also testified to collecting two towels from the hallway of the home, which he combined and placed in one bag of evidence. (Read a much more thorough examination of the towel evidence by clicking here). The sighting of bloody towels in the Routier home supported Darin and Darlie’s claims regarding the activity that took place before police arrived on the scene. Patterson admitted on the stand during Darlie’s bond hearing that he never specifically asked her if she was near the sink or if she wet towels in the sink. Patterson also confirmed that the towels were located in the kitchen in a drawer near the sink. Officer Waddell also testified at the bond hearing that Darlie did not mention going over to the kitchen sink, but he also testified he never asked her about it. The second officer, Walling, arrived on the scene shortly after Waddell. Prior to Walling’s arrival, Waddell remained in one location in the home. He did not check the garage to see if a person was still in there. He did not render first aid to any of the victims. However, he testified that Damon was still alive upon his arrival and that he was laying face down on the carpet, trying to move around, and attempting to gasp for air. Waddell said he observed Damon looking around the room at him and at his parents. 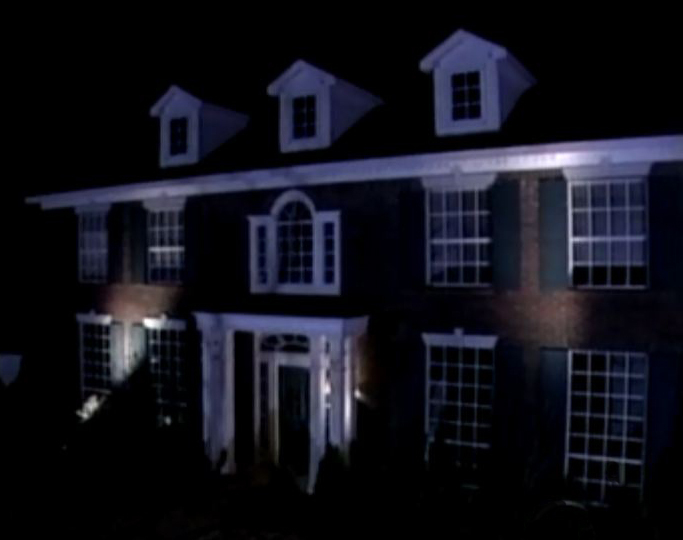 Darlie is heard on the 911 call asking Damon to “hold on” repeatedly. A paramedic would also confirm that by the time he arrived on the scene, and after waiting two minutes for officers to clear the scene so they could render first aid, Damon was still barely alive. Darlie and Damon were taken by paramedics and transported to the hospital. Damon died in the paramedics’ care, but Darlie survived and received exploratory surgery on her neck wound at Baylor University Medical Center. The doctors discovered that her neck injury had come within 2 millimeters of her carotid artery. Had the knife severed that artery the wound would have been fatal within minutes.Meanwhile, back at the Routier’s home, police continued to look for evidence. Fingerprints were lifted in a number of areas and photographs were taken. Photographs entered into trial as exhibits demonstrated that many objects within the home were moved around. Officers who testified, such as Officer Mayne, were unsure which officer touched what. 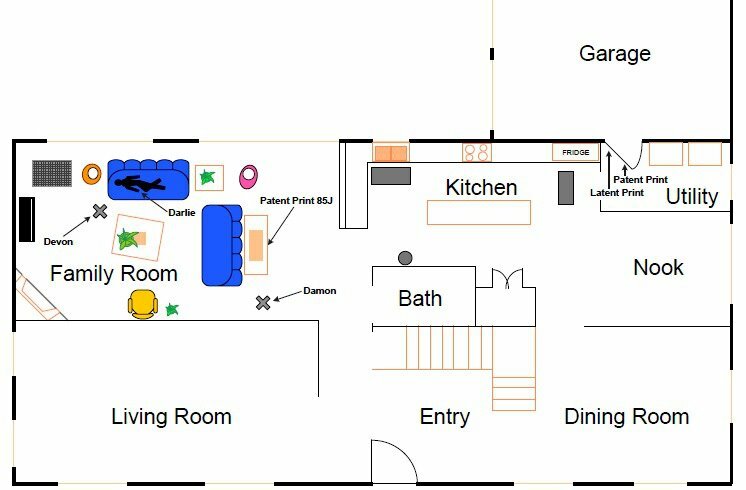 For example, the phone was photographed in different locations, a lamp in the living room was moved around, the vacuum cleaner was photographed in different positions in the kitchen area, family files were moved from one location onto one of the couches, and a pillow was moved around – to name just a few. The photographs showed that little care was taken to secure the crime scene and that minimal information could be gleaned from the pictures since objects were moved (repeatedly in some cases). Outside of the home, officers conducted a search and located a sock laying near a trash can two houses down from the Routier home. The sock was photographed and collected. It was later determined the sock had blood from both Devon and Damon on it. Darin Routier testified at trial the sock was his and that the family kept a rag pile in the utility room of old socks. There was no blood around the sock or leading to the sock. Read here to find out why this is an important factor in the case. Various police officers would testify that over the course of their investigation they came to believe that Darlie had perpetrated the crime and had attacked herself to cover up the crime. They believed this despite the fact that her own injury had come within millimeters of being fatal. Jimmy Patterson, who was the lead detective on the case, went so far as to set up a secret recording device at the boys’ grave site. He hoped to catch Darlie on tape confessing to the crime. When asked about these activities on the stand, Patterson pled the Fifth Amendment which is done when a person wishes to refrain from self-incrimination. During the early morning hours of June the 6th, Darlie emerged from surgery. Shortly after coming out of surgery, and after having been given Demerol and Phenergan, Darlie was questioned by detectives. She readily answered the questions of police and cooperated with the investigation. However, it is unclear why the police felt it was appropriate to question a woman who had just come out of surgery and was under the influence of strong pain medication. Demerol is included in the same group of pain medication as those that act in a similar way to morphine. On the 14th, a Friday, a prayer service was held for the boys at the grave site. The service was somber. Darlie’s aunt, Sherry Moses, testified about the prayer service. She stayed in Texas for a week before returning to Pennsylvania. Following the prayer service the family held a birthday party for Devon. Sherry explained at trial that Devon had been looking forward to his upcoming seventh birthday party when he was murdered. The family wanted to be able to give him a party. Video of the birthday celebration was admitted into trial. The wiretapping of the grave site had captured the prayer service that occurred before the birthday party; however, the defense did not ask for the tape to be admitted into evidence. This was harmful to Darlie’s claim of innocence because the jurors watched the video of the birthday party over and over again, believing erroneously that Darlie was celebrating the death of her child. One of the jurors, Charlie Samford, stated on a television program about the show that the jury watched the video 8 times. Samford has since changed his mind about Darlie’s guilt, claiming he believes she is innocent. On June 18, the police arrested Darlie on two counts of capital murder. Darlie was indicted by a grand jury on two counts of murder, but the prosecution only moved forward on the charge pertaining to her youngest child Damon. His young age at the time of the murder made it possible for the prosecution to seek the death penalty. Click here for information about Darlie’s defense. Click here for information about the prosecution.